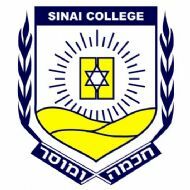 Sinai College is an independent co-educational Jewish Day School located in Brisbane, Australia. We provide a Jewish education and a comprehensive program of general studies from Prep through to year 7. Sinai College was established in 1990, as a Jewish Community initiative aimed at developing a comprehensive secular and Jewish education for children of the South East Region of Queensland. The site for the school was established in the grounds of the Jewish Communal Centre Queensland in Burbank, and purpose built buildings were established to cater for the ever-growing demands on the school and its resources. 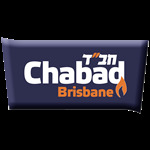 Situated on a twelve-acre site, located within twenty minutes of the Brisbane Central Business District, the school continues to grow and prosper within the context of Brisbane’s dispersed Jewish population. Our dedicated team of highly trained and motivated teachers are committed to creating an environment where students receive the individual attention they need to develop intellectually, physically, socially, emotionally and spiritually. For more information about the College, call 07 3349 9088, email admin@sinaicollege.qld.edu.au or visit www.sinaicollege.qld.edu.au.